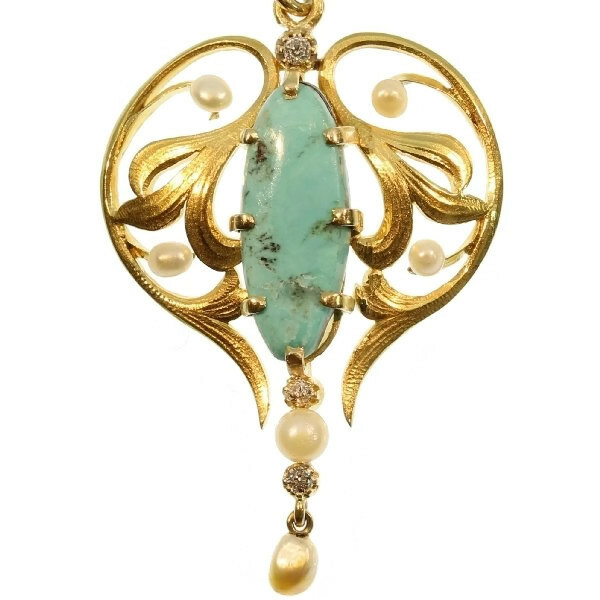 Gold Art Nouveau pendant with diamonds pearl and turquoise: Description by Adin Antique Jewelry. Diamonds: Three old brilliant cut diamonds with a total estimated weight of approx. 0.10 crt. Total diamond weight: approx. 0.10 crt. Birthstones: Diamond is the birthstone (or month stone) for April, pearl for June and turquoise for December.